The Bare Minerals eyeshadow palette The Cocktail Hour 8.0 is one of the best eyeshadow palettes I have found. 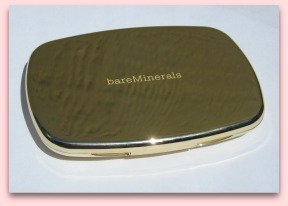 These Bare Minerals colors are truly vibrant and beautiful! Bare Escentuals is a company built on the idea that makeup should be natural and fee of chemicals, parabens, and other ingredients that can harm your skin. I shied away from the Bare Minerals skin and makeup bandwagon for a long time because of their lengthy advertising and raving fans. The problem was, my not-so-perfect very sensitive dry skin hated everything else. Any liquid or mousse foundation would make me break out. Powders made me look flakey. Nothing seemed to cover my red cheeks and let my sensitive skin rest. Once I gave in and tried Bare Minerals foundation powder however, my skin naturally started looking more beautiful even without makeup on! When I went out, friends commented on how natural and even my face looked. Needless to say, I’ve become another Bare Minerals advocate. Aside from their fabulous mineral foundations and All Over Color bronzer powder, Bare Minerals carries a wide variety of eyeshadows. I haven’t yet been able to test out the majority of their eyeshadow compacts, but one I do have experience with is the Bare Minerals Cocktail Hour 8.0 Palette. This palette I received as a Christmas gift in 2011. I’m not going to hold back my excitement here, I love this palette! It comes with eight different shades that work well together. The shades are neither neutral nor bright, which makes them great for daytime wear or evening wear depending on how you put them together. 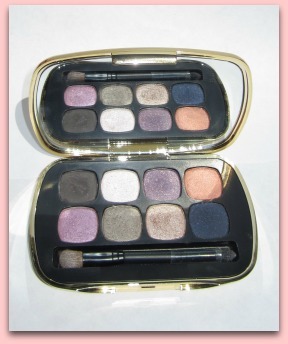 The Bare Minerals eyeshadow palette itself is quite pretty. It is bright shiny gold on both sides and comes with a full mirror on the inside for getting a good look at your application. I also found that the double sided brush that comes with the palette is of much higher quality than most palette brushes. On one end it has a thicker eyeshadow brush for applying color to your lids. On the other, a smaller slightly angled brush with soft bristles makes it easy to use these colors for eyeliner or to place in small areas. The best part about this palette is that there isn’t one color on their that I wouldn’t use. Typically when I buy a palette of eyeshadow, there are at least a few colors I shy away from or simply never get to. The Cocktail Hour has matte black (very useful), a very light pearly color for highlighting, a light and dark sparkly purple, earth green, shimmery gold, coral, and midnight blue. For me, these colors are super useful and basically give me the opportunity to leave the house with one small palette and a tube of mascara without ending up stuck. Overall I really appreciate the effort of companies that try to do better by women with their cosmetics. Unregulated by the FDA, makeup products can contain just about anything that is up to the company’s discretion. It is always a blessing when we, as consumers, deal with companies who have great intentions and don’t let their vision be skewed by money, stocks, or investors. The Bare Minerals eyeshadow and foundation products are a great example of this. 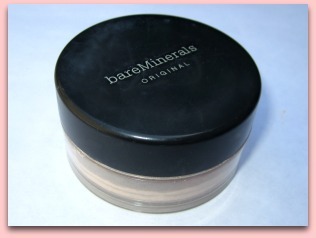 Return to Makeup Tips Home from "Bare Minerals Eyeshadow"